The American retail icon, Costco, recently launched a new store in the Melbourne docklands area, and will soon also open a store in the Sydney suburb of Auburn. While it could be considered similar to your Coles or Woolies in that they sell groceries, the Costco shopping experience differs from the traditional supermarket model. Consider these two types of shoppers: “hoarders” (like me) who buy up big when things are cheap, and “grazers” (like my wife) who buy what’s needed when it’s needed. The pro’s of being a hoarder are: convenience – when you run out of toothpaste, you just go to the cupboard and get another one; and not having to go shopping so often (but you spend more time there when you do). Being a hoarder is a good way to earn rewards too, since most schemes have a minimum spend before you receive the benefits – e.g. spend $30 to get a fuel voucher). The con’s are: it has a bigger up front cost (not good if you’re out of food, down to your last few dollars, and desperately waiting for the next payday); and finding room to put everything. The pro’s of being a grazer are: flexibility – you pop down to the shops and get what you need – in and out – instead of spending hours trawling through every aisle; and being able to buy fresh – there are simply things that you can’t store, like fresh fruit and veg. The con’s include: being more expensive in the long run; and having to go shopping a lot, which can be very inconvenient if you don’t live close to the shops. 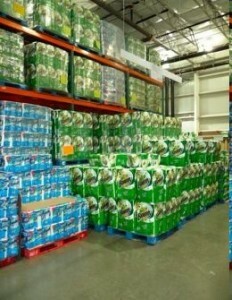 The Costco model tips the balance in favour of the hoarders by offering everything in bulk. That’s how they make money while still having lower prices than the supermarkets, by shifting a high volume of goods. You also have to sign up for their annual membership, which costs $60. Therefore Costco will be of most benefit to people who buy in bulk often (if only to get back the cost of membership in savings), particularly non-perishable goods: nappies, canned and/or processed foods (pet food, soft drinks, etc. ), confectionery, and things that you can buy to freeze (e.g. meat). What type of shopper are you, a hoarder, grazer, a combination of the two, or another kind that I’ve missed altogether? Post your thoughts in the comments!